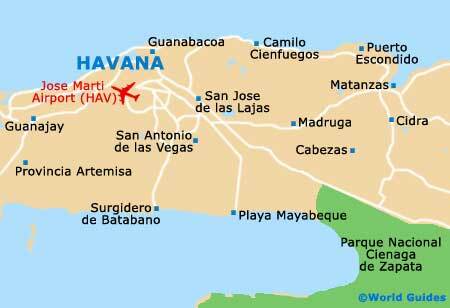 As with the eating, Havana shopping is pretty poor, save a few little nuggets dotted about. Output is state controlled and there is not much in the way of unique Cuban items, apart from the cigars, rum and the odd knickknack. Saying that, Havana easily has the best shopping in the country and there are some pretty cool markets to check out in the city centre. You will generally be expected to pay with US dollars at the touristy stores. The obvious things to buy while shopping in Havana are cigars and rum. Even if you are not into them, they make excellent gifts, and the cigars are the highest quality in the world. For Cuban music, be sure to buy at the state-run tourist stores to avoid covers and copies. Cuban cigars are known as 'habanos' or 'puros' and are handmade. You will usually need to buy by the box, although prices are not as extortionate as when outside Cuba. Stick to the cigar factories for cigars, such as the Partagas Cigar Factory on Calle Industria. For rum, airport duty free shopping is your best bet, or alternatively the main local chain of Caracol. Sadly, Cuban handicrafts are few and far between in Havana, although if you are into wood carvings you will find some quality Afro-Cuban items. The best market in town is the Calle Tacon street market. This is the largest in the city and has Che Guevara T-shirts, handicrafts and other souvenirs. Calle Tacon is a full city block and the biggest in Havana, although there are other, less-touristy places worth checking out, too. For cheap tack in an uninspired department store, head out of the main tourist areas and have a look in a local shop.